EURUSD continues falling towards 1.2200. 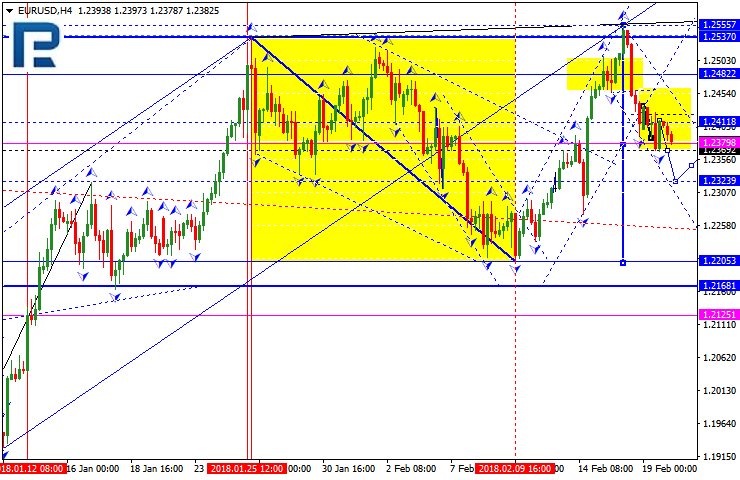 Today, the price may form another structure to expand the current range to the downside to reach 1.2323. 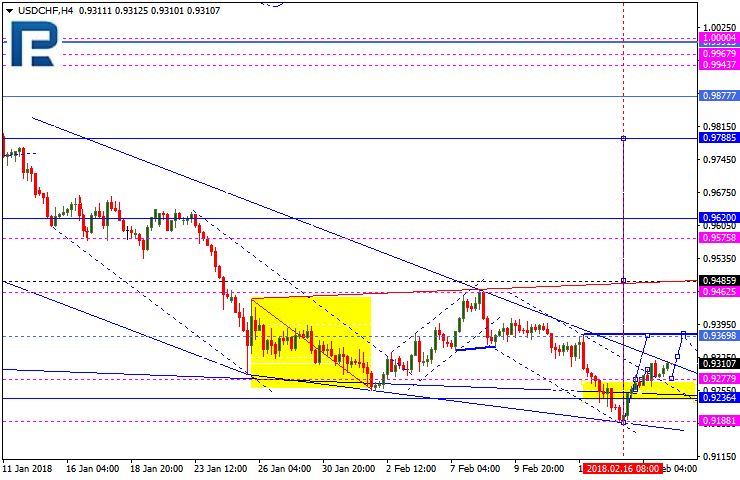 GBPUSD is still moving downwards with the target at 1.3760. 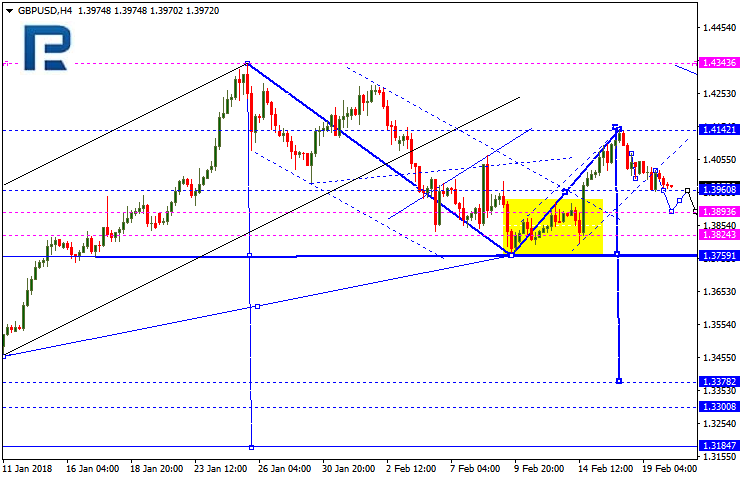 Possibly, today the price may break the range to the downside and reach 1.3894. 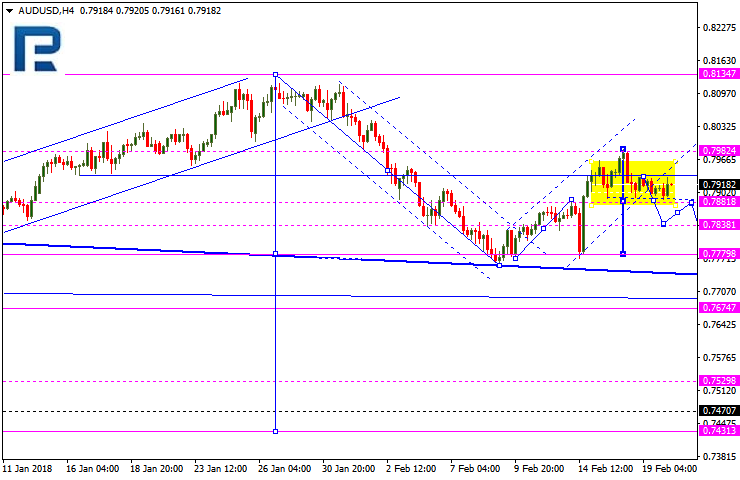 USDCHF is forming the first ascending impulse with the target at 0.9370. Today, the price may form another ascending structure to reach 0.9330. 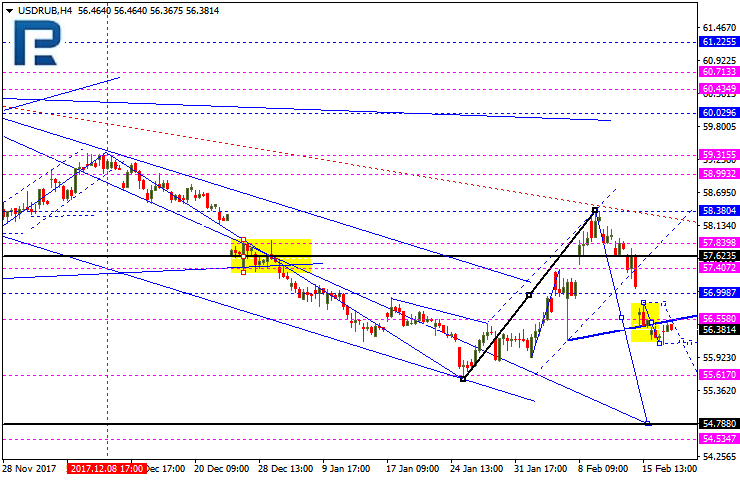 The predicted target of the wave is at 0.9486. 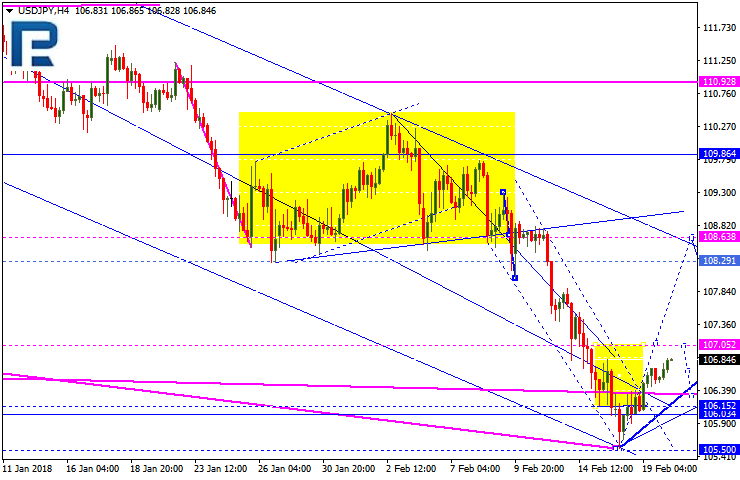 Gold is still forming the third descending wave. 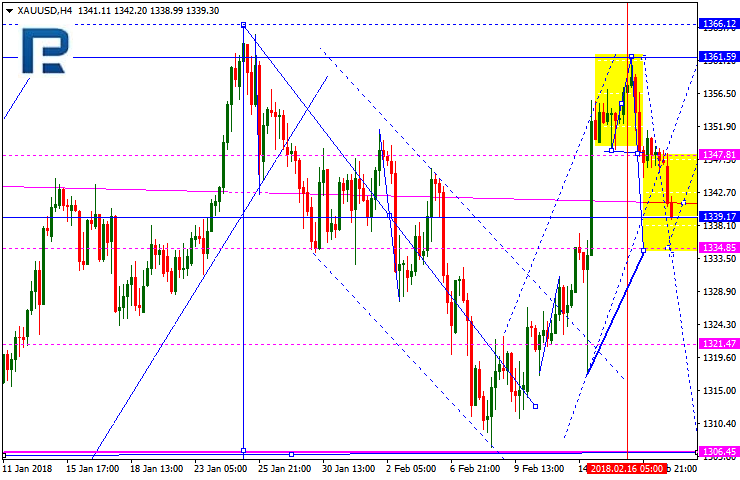 Today, the price may reach the first target at 1335.00 and then form another consolidation range. If later the instrument breaks this range to the downside, the market may trading to the downside and reach 1307.00; if to the upside – start another correction towards 1347.00. 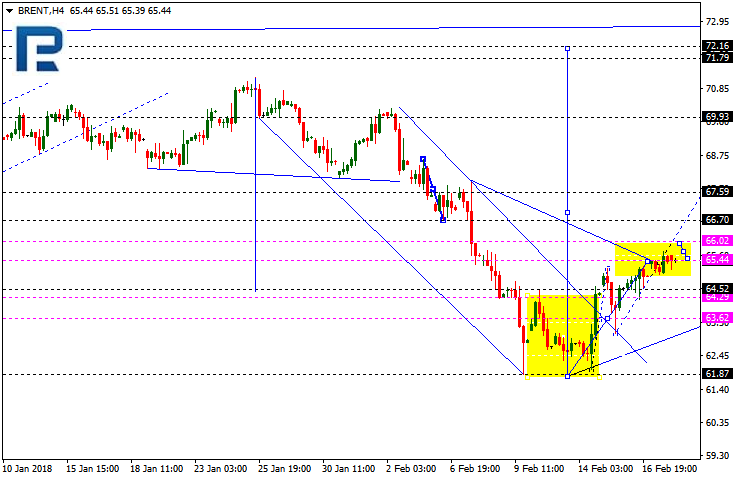 Brent has formed another consolidation range and right now is trading at the top of the ascending wave. If later the instrument breaks this range to the downside, the market may be corrected to reach 63.62; if to the upside – resume growing towards 67.60.